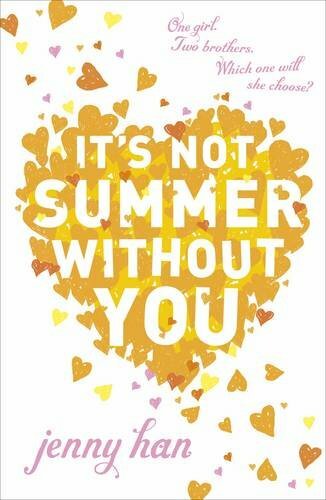 It's Not Summer Without You is the follow up to The Summer I Turned Pretty - this review contains spoilers for book one. A year has passed since the summer Belly turned pretty and much has changed. This year she finds herself at local pool parties rather than the beach house at Cousins. After a long struggle, Susannah has finally submitted in her fight with cancer, Belly no longer knows how to talk to best friend, Jeremiah and Conrad is even less accessible than before. When Conrad disappears from his college dorm shortly before his finals, Belly finds herself recruited by Jeremiah to track down his brother – a search that leads them all, inevitably, to the sea. Belly hasn’t had the easiest year. While she has certainly matured since the previous summer, she’s still very much her age. In fact, she’s one of the most realistic teenage portrayals that I’ve come across in YA fiction. Still reeling under the weight of both first love and first heartbreak, she now also finds herself confronted with true grief for the first time. For Belly these three aspects are closely linked and she often seems to be unable to distinguish between them. As in The Summer I Turned Pretty, Belly often seems self-centred and sometimes a little prone to melodrama, bringing every turn of events around to herself, something which other characters often point out. While this could be (and occasionally is) pretty irritating, Belly is not unkind nor is she selfish – she’s just sixteen and trying to wend her way through unfamiliar waters. Her interactions with both Jeremiah and Conrad are often frustrating, variably mortifying and entirely believable. Unlike The Summer I Turned Pretty, It’s Not Summer Without You uses a duel narrative structure. While the majority of the story is still told from Belly’s perspective there are also sections told by Jeremiah. It would be hard to dislike Jeremiah - his sunny personality and general optimism shine through even in the darkest of moments. This becomes increasingly surprising as he slowly elaborates on his home life, his relationship with Conrad and his feelings for Belly – he doesn’t have it particularly easy but his nature seems to dictate that he will always be the one smoothing things over, laughing and trying to make everyone else feel better. Inevitably this leads to his own feelings and especially his own grief being somewhat overlooked. While he clearly believes that his feelings towards Belly are genuine, they could easily end up being rather flash-in-the-pan. Time will tell. Where Jeremiah parades everything out front, Conrad internalises absolutely everything. 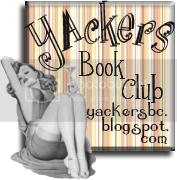 As in the previous book, he stomps through much of It’s Not Summer Without You like an unexploded bomb – just waiting for something to set him off. Belly seems a likely trigger but he’s to busy shutting her out to let her appear to bother him. He’s a rather excellent portrayal of a young man completely overwhelmed by feelings of pain, loss and longing and is paradoxically sympathetic and infuriating to read. His actions towards Belly are entirely understandable although not in any real way excusable. However, no matter how cruelly he behaves, it’s hard to get angry at a character who is floundering so completely and there was a small interaction between him and Belly’s mother towards the end of the book that moved me to tears. The plot of It’s Not Summer Without You is simple and almost, although not quite, predictable. This works extremely well in a book that is more character than plot driven. The three main characters are such a pleasure to read and so completely real that the plot becomes almost superfluous. More than anything they act in ways that are entirely recognisable to anyone who has ever been a teenager. Things going to hell? Let’s have a party and drink lots of tequila. Things going to hell and now you’re drunk? Let’s drunk dial mummy and get her to fix things up. It’s great – real, funny and moving. More than anything, this book is a lovely essay on loss, grief and friendship with the Fisher and Conklin families so inextricably linked that the very sight of each other triggers intense feelings that they’d would all, at one point or another, rather ignore. The book ends on somewhat of a cliffhanger. I have my own ideas of where things are going. For what it’s worth, I don’t think Conrad’s done with Belly quite yet. He's the keeper, mark my words... although where that leaves his relationship with his brother or Belly's relationship with her best friend, I've no idea. When I initially read The Summer I Turned Pretty, I wasn't convinced, but on reading this second instalment I've absolutely fallen in love with this series. Jenny Han's books really are the imbued with the ocean, the sun and the salt air – they are summer reading at its best while also being genuinely thoughtful, compelling and intriguing. I can't wait for We'll Always Have Summer and will certainly be re-reading this series come sunny days of the future. This sounds interesting. I've read some really good things about Jenny Han lately. awesome job on the review! i agree with you on this one. funnily enough, i can see why these books do annoy some people but i just get sucked in to them anyway. i have the third one on my shelf but am waiting to read it with a friend in two weeks time. Wonderful review. I've been deliberating over whether to download the kindle version of this one to take to the beach with me this summer. 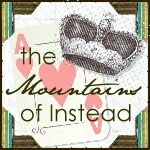 While I love the first book, I tend to prefer my contemporary YA to be standalones. However you sound really convinced by this one, and the perfect summer read *is* what I'm looking for, so I'll give it a go. Thanks.